When I was growing up in rural Virginia any time I went to my grandmother’s house I could bet on one chore she would be having me do was run the food scraps out to the compost pile. She would keep a container by the sink and throw in all compostable materials throughout the day and add them to the compost pile after dinner. What the chickens did not consume turned into rich fertilizer for the garden. What if we reduced our overall food waste through education, then composted the remaining food waste to become the soil for growing more food? 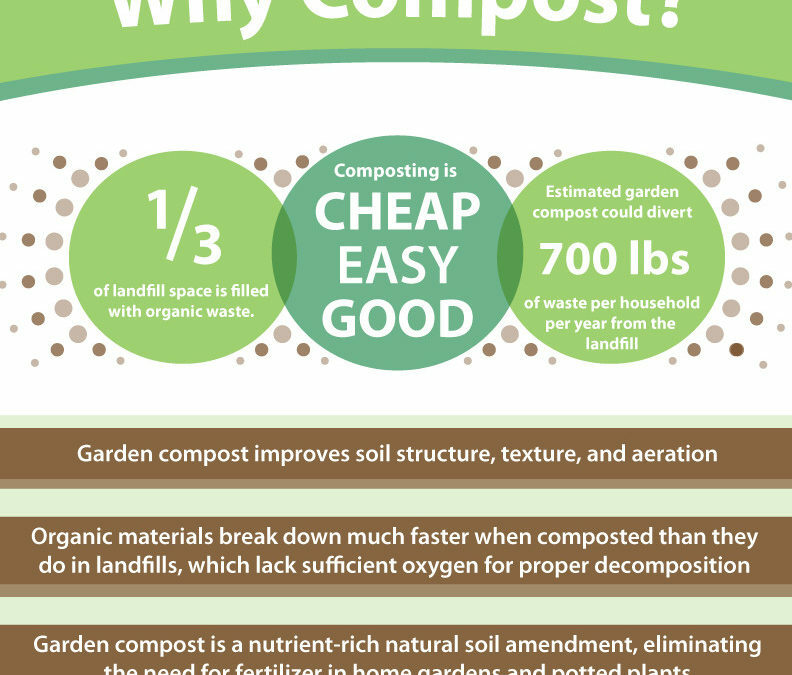 What are the benefits of composting at your home? How much food waste do we generate? Reducing food waste by just 15% would be enough to feed more than 25 million Americans yearly. Sixty-eight percent of Americans believe that throwing away food once its expiration date passes lowers their chances of getting sick from it. Fifty-nine percent believe that food waste is “necessary” to consistently produce fresh, flavorful meals. How can you start composting? Greens – This includes materials such as grass clippings, vegetable and fruit scraps, and coffee grounds. Do your research and get started!